Phil Godsiff is a Senior Research Fellow at the Surrey Centre for the Digital Economy, (CoDE), part of the Business School at the University of Surrey, UK. CoDE was formed to study the impact of digital technology on business, the economy, and society. Working closely with businesses, CoDE adopts a multi-disciplinary approach to analyzing the broad economic, organizational, and sociological changes brought about by the advance and spread of digital technology. 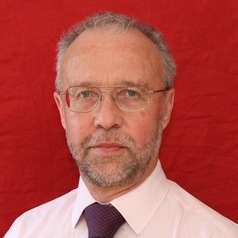 His research interests include the effect of developments in the digital economy on industries, such as financial services, where existing business models may no longer be appropriate, and where new forms of currency and organization, such as crypto- and personal currencies, have the potential to emerge leading to profound effects on the economy and wider society. He is an Investigator on a recently awarded UK Research Council grant titled “CREDIT”, which is examining the nature and practices of these crypto currencies, and will be defining the future research agenda. The main themes of the research are to explore the effect of these “currencies” on the digital transformation of business models, and to clarify issues around governance, standards and regulation. He took part in ministerial roundtable discussions at the UK Treasury after the UK Chancellor’s 2015 Budget announcement of an expanded research programme into Digital and Crypto Currencies. He was a member of the expert panel comprising practitioners and academics which advised Sir Mark Walport, the UK Government Chief Scientific Officer, during his preparation of his report “Distributed Ledger Technology: beyond blockchain” published in January 2016. Phil contributed the chapter on disruptive potential which explored the way blockchain technology might spark the next industrial revolution, and the implications for the economy and society. He holds an M.A. in Economics from Cambridge University, and a PhD in Management from Exeter University. He received his PhD in 2013 with a study on “wicked problems”, (those without a rational solution), and how they impacted the operations of a government agency. He is a Fellow of the Institute of Chartered Accountants, and spent 30 years working at a senior level in in the Financial Services industry.